Deer in the headlights. It’s an expression I’ve often heard tossed around casually to describe the counter-intuitive fixed stare these animals give when caught in the penetrating cone of light cast by an oncoming car. 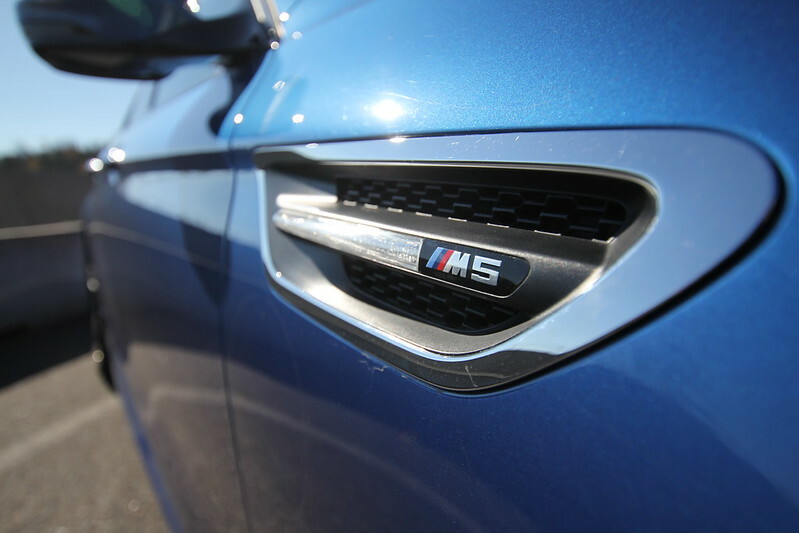 I never expected my first experience of the phenomenon to come while accelerating out of the sweeping turn of a racetrack at 120kph as I gripped the wheel of a 414 horsepower BMW M3 Coupé. 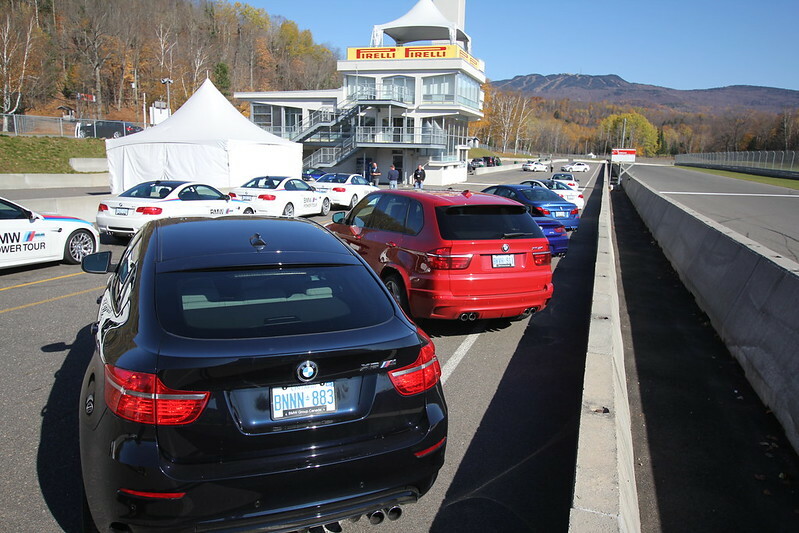 It was the second of two crisp fall days at the legendary Le Circuit Mont Tremblant for a course in advanced driver training put on by the folks at BMW Canada. Our first day started with some brief in-class instruction as we reviewed the themes of balance, oversteer, understeer, and apex cornering that had been covered in great detail in the preceding “Advanced” and “Perfection” level Driver Training courses put on by the famed German auto-manufacturer. 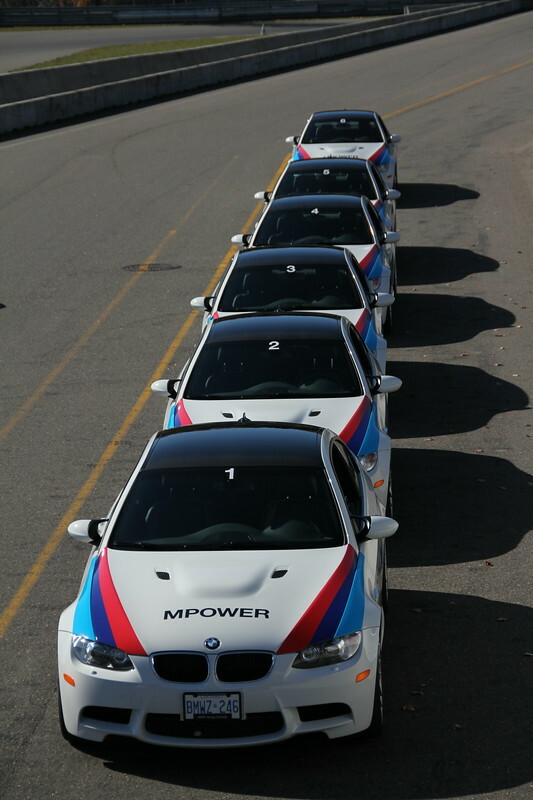 This multi-day track-based “Fascination” course was the culmination of the BMW Driver Training program. 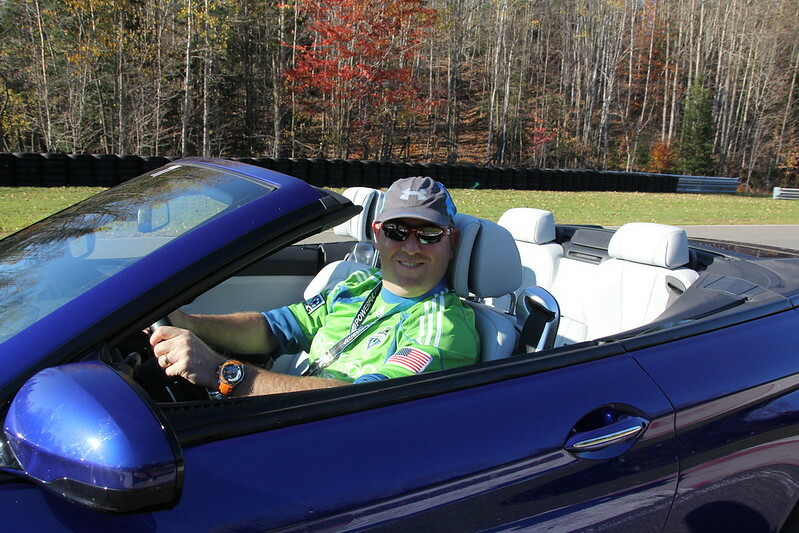 The anticipation of getting behind the wheel grew exponentially with each slide chief instructor, Phillipe Letourneau, clicked through. When Letourneau shut down the slide-projector and suggested it was time to assign our cars the room cleared in the blink of an eye. 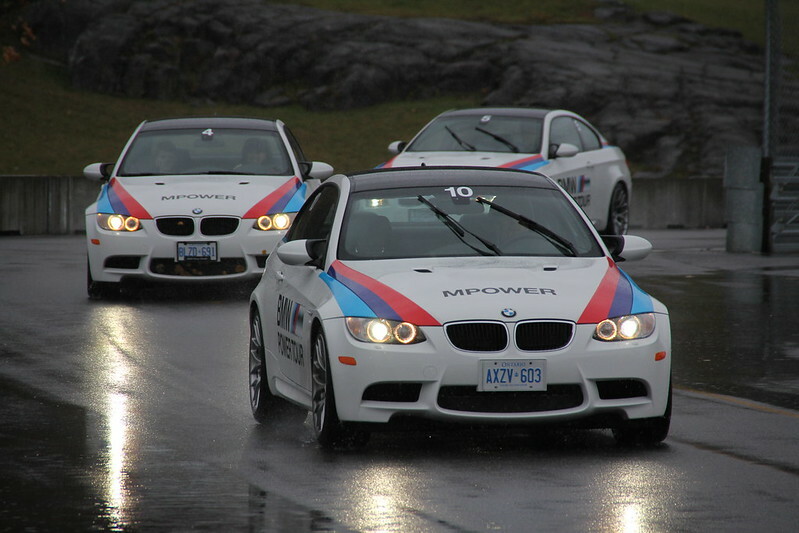 Minutes later, our convey of M3 Coupés rolled through the gates of Le Circuit and into the pit lane. 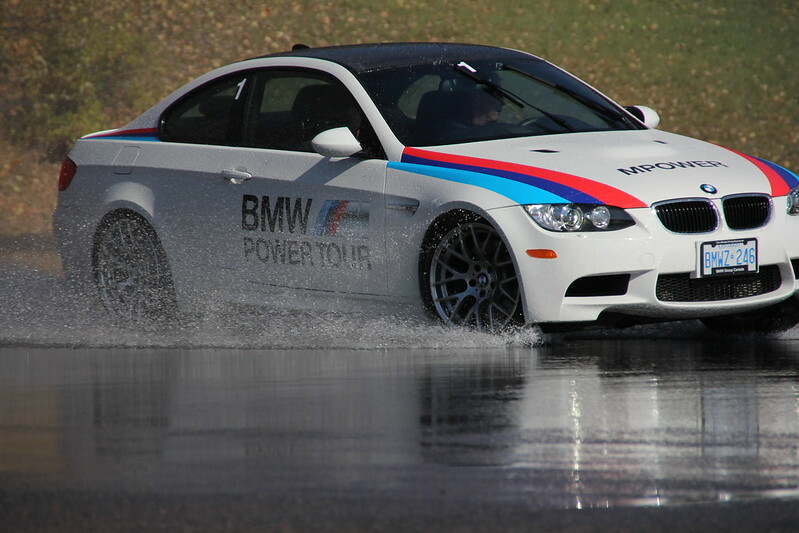 The morning was spent getting accustomed to the track’s serpentine path in follow-the-leader hot lap exercises. We focussed on smooth acceleration and braking while being taught how to carve the fastest racing line through the course’s twists and turns. 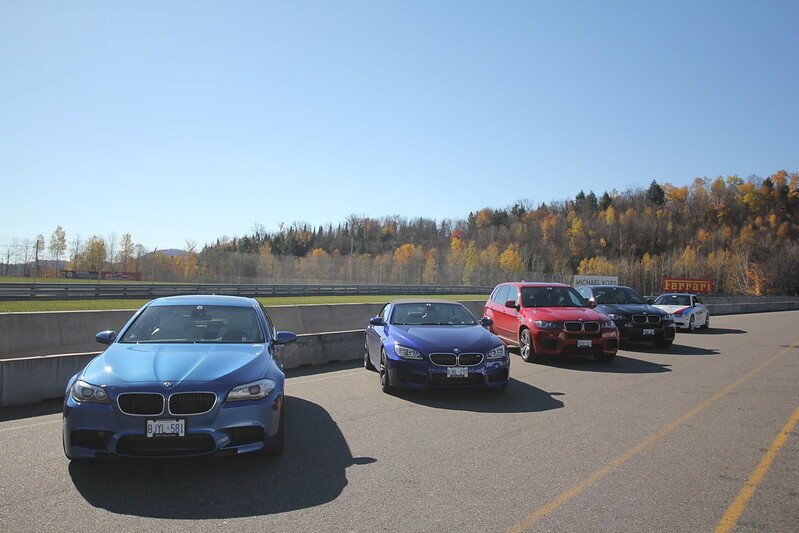 With the cars (and drivers) suitably warmed up, we traversed over to the skid pad where the instructors deactivated the dizzying array of sensors and systems that form BMW’s Dynamic Stability Control (DSC). 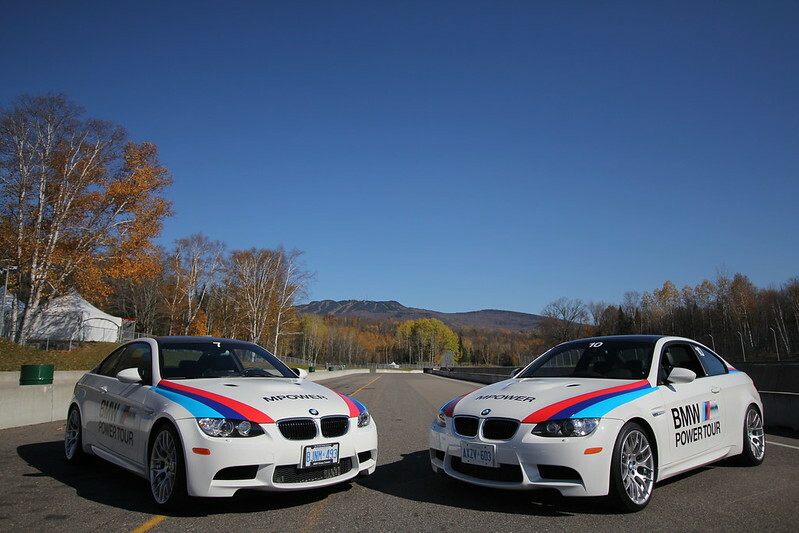 With these crutches deactivated, the monstrosity of the M3’s 414 horsepower engine is entirely in the hands of the driver. 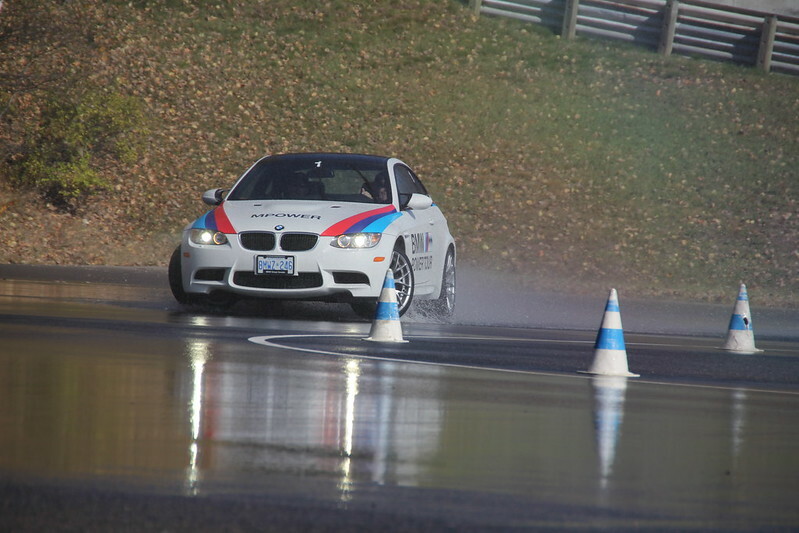 The goal was to achieve a controlled skid drifting around a series of cones. 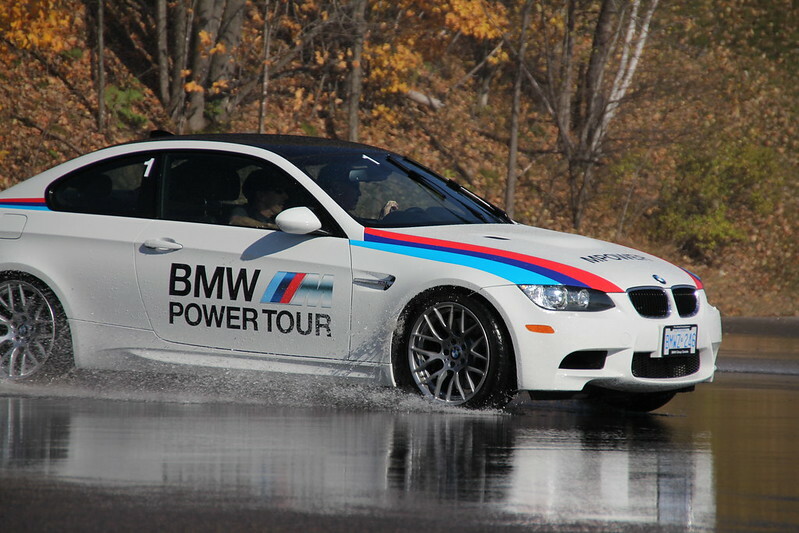 The instructors accomplished this feat with ease gliding two cars in a figure-eight precision ballet. 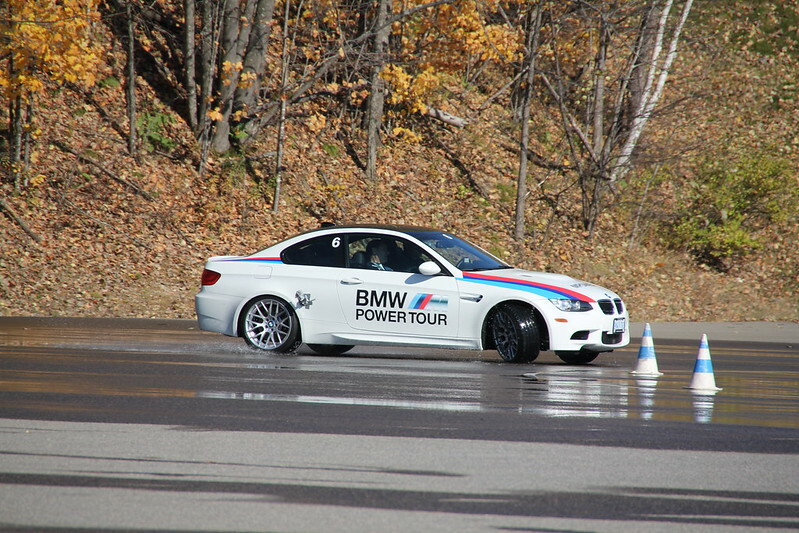 With my foot on the throttle, after dozens of spin-outs, I was thrilled to achieve a single three-second blip of controlled oversteer before the car snapped around and came to a stall yet again. 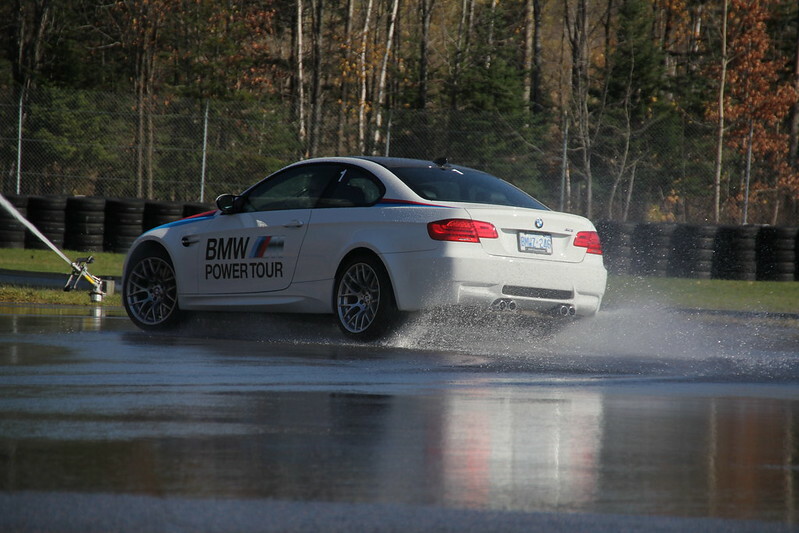 Back on the track, our BMW hosts showered us with an embarrassment of riches for the high-speed braking drills. 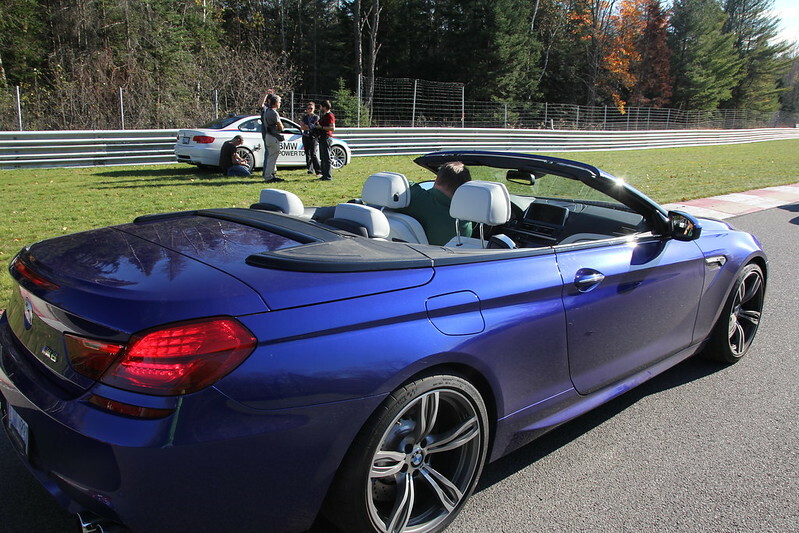 We took turns piloting an M5, M6 Cabriolet, X5M, and X6M. 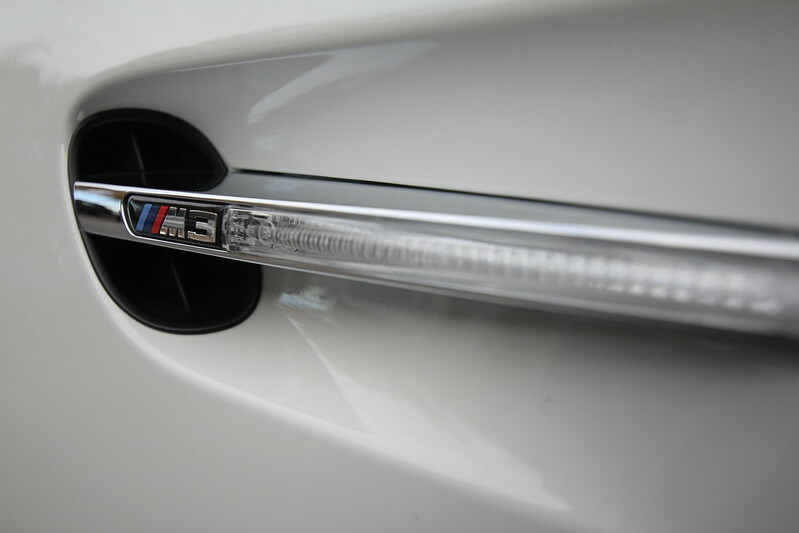 Although the substantial weight differential between the lithe coupé and its broad-shouldered X5M Sport Activity Vehicle (SAV) cousin was apparent, I was shocked at how deftly a car capable of transporting a small hockey team – gear included – eased its way through the racetrack’s corners at high speeds. 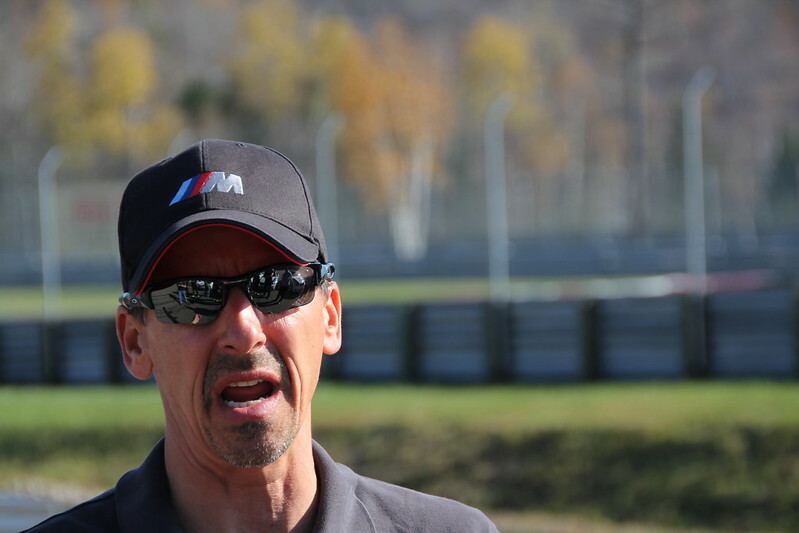 “It all comes down to 50/50,” says Sylvain Champoux, my instructor for much of the day. At first I think he’s making a macabre joke about the odds that I’ll crash the six-figure 555 horsepower luxury vehicle as I accelerate madly into the turn. “Perfect weight distribution means perfect balance in the corners.” Ah. He’s talking about the car. 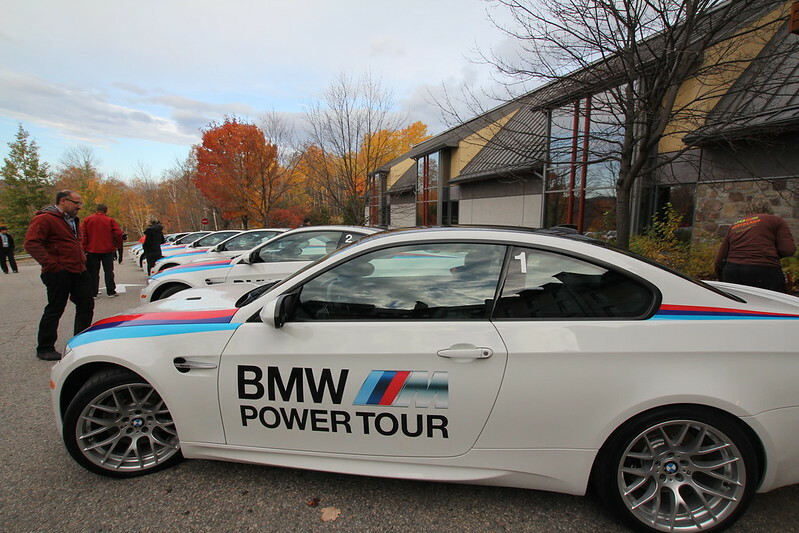 It’s that marriage between car and driver that is BMW’s secret sauce and the governing principal behind the Driver Training program. After two days experimenting with tire contact patches, threshold braking, and feathering acceleration, I come to realize the car is talking to me. And it’s not just the reassuring female voice of my on-board navigation system. 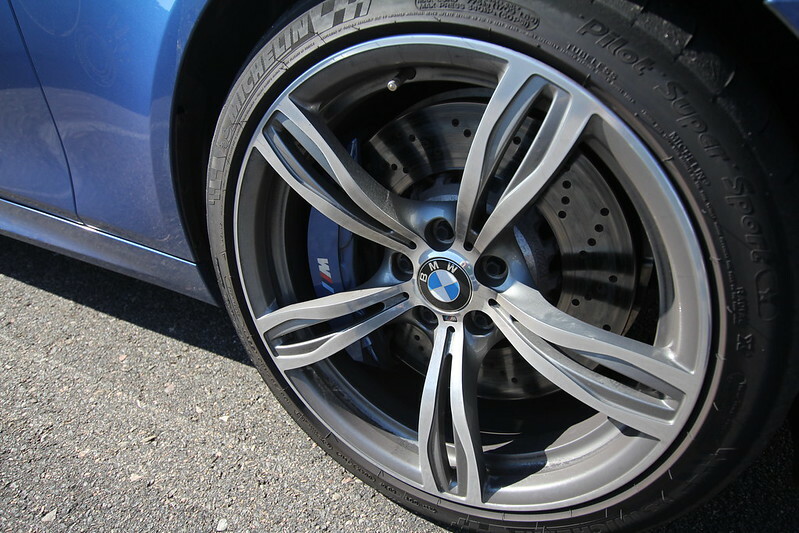 It’s the way the front tires communicate grip through the deliciously chunky steering wheel or the way the rich leather seat imparts a visceral sensation of the car’s tail end as I whip around a corner. 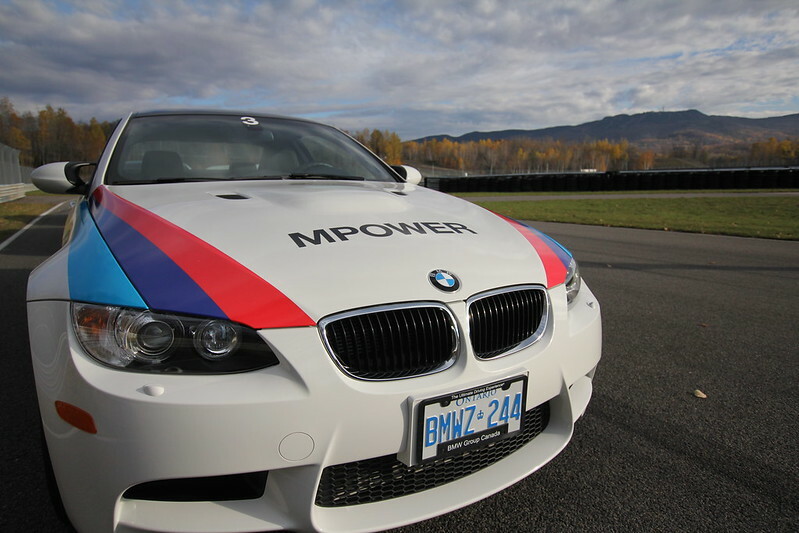 Learning to interact with the car on this level allows graduates to internalize the knowledge gained on the track and apply those lessons to make every day driving safer. After finishing a few more runs practicing high-speed avoidance manoeuvers, I’m back on the track in a tightly packed group of four cars as we trace a modified racing line through the heavy rain now falling along Le Circuit. 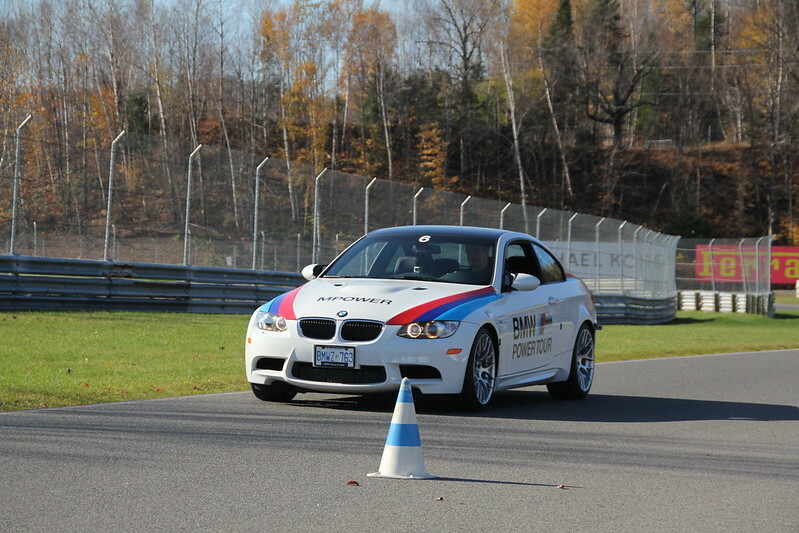 We take turns lap by lap leapfrogging the cars ahead so that each driver has the opportunity to follow the precise line of our instructor in the lead car. My hot lap ends and I drift aside, allowing the other two cars to pass me before I cruise back in at the tail end of our convoy. We negotiate the downhill segment after turn #7. 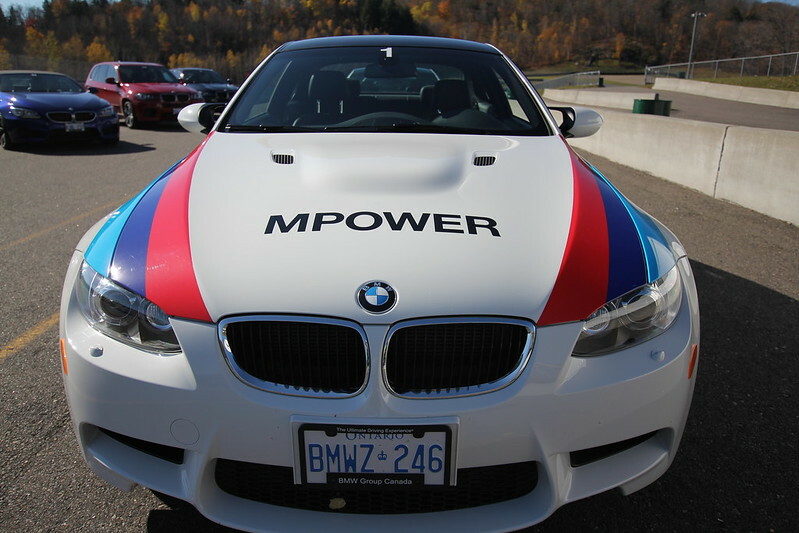 The M3’s engine growls like a lion as I use the paddle to downshift into third gear and ease my way into the long sweeping #8 turn dubbed Carousel. 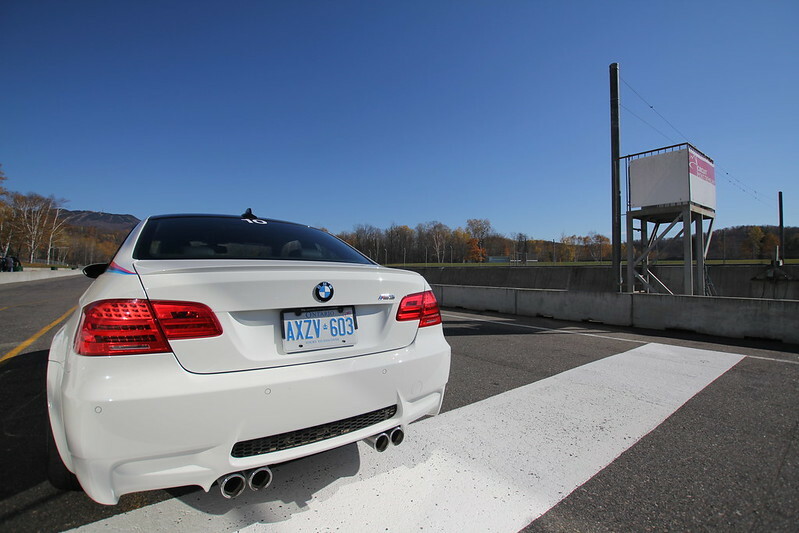 The front cars clear the turn and I open the throttle heading into the track’s longest straight-away where I’ve been notching speeds over 180kph all day. The rain-sensing wipers are flicking quickly across the glassy windshield when I catch a flash movement. Deer. Two of them. They’ve just jumped a guardrail, cantered across the asphalt and come to a dead stop in front of my rapidly approaching car. It’s an identical scenario to the drill I had been practicing just a few hours earlier but with five hundred pounds of buck meat instead of rubber cones. 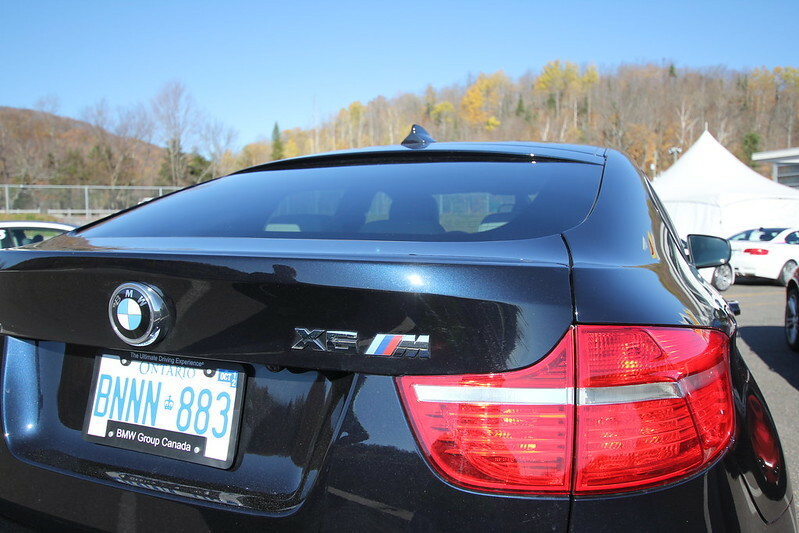 The Crime Traveller was a guest of BMW Driver Training.